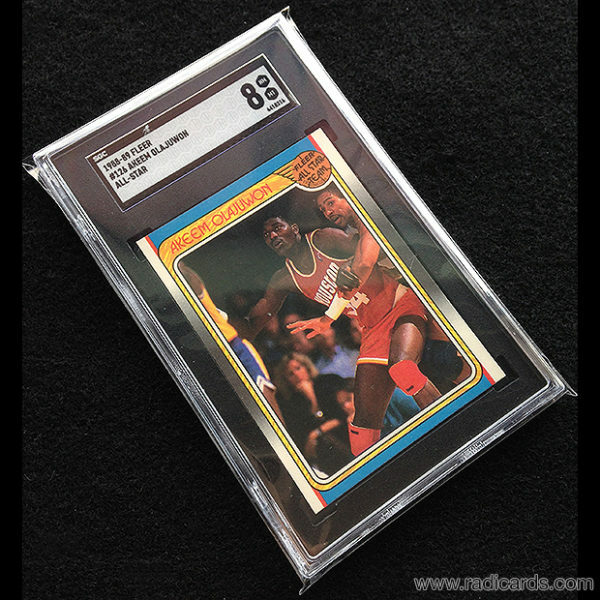 SGC Graded Card protection with a fitted look. 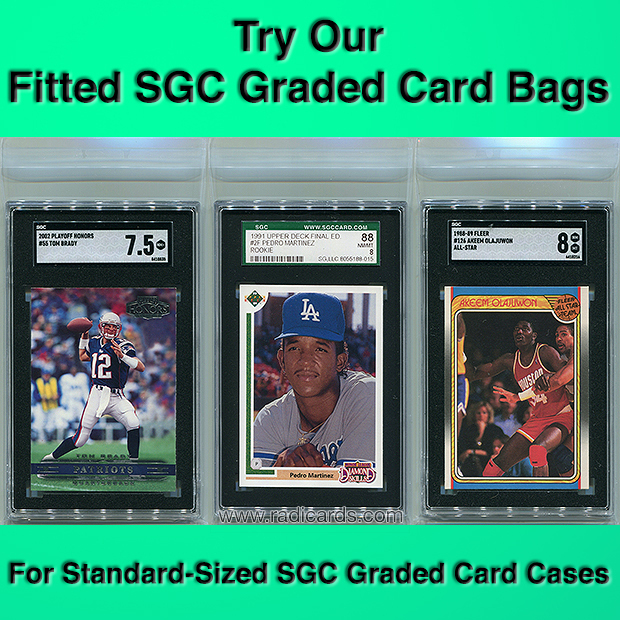 10 packs of 100 premium fitted SGC Graded Card bags. Your SGC Grade Card collection is just as important as those slabs from other brands. So why not give them the same protection? 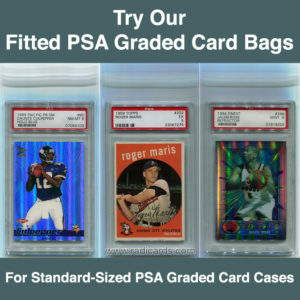 Protect your SGC Graded Cards against dust and scratches with these premium fitted acid free bags. They are designed for a snug contoured fit for the SGC Graded Card case. Each bag has a fold with a peel and stick adhesive to keep the SGC Graded Card case within it completely covered. This is the perfect addition to your supplies inventory. 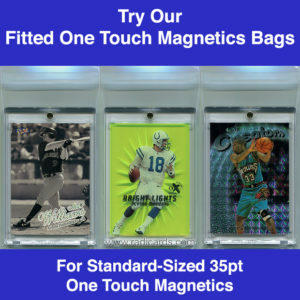 Get these for a fitted look to protect your SGC Graded Card collection and keep your cases safe. 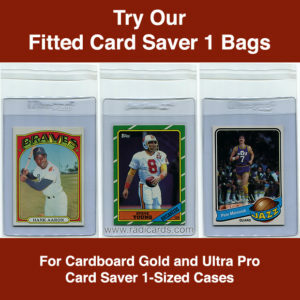 Price is for 10 packs of 100 premium fitted SGC Graded Card bags. Cards not included. Shipping costs are calculated for order within the United States. International shipping: Contact us for a quote. Please include a mailing address in your inquiry. Be the first to review “Fitted SGC Graded Card Bags (1000 – 10pks)” Click here to cancel reply. Radicards™ © 2010-2019. All Rights Reserved. A division of PDG Projects, LLC.